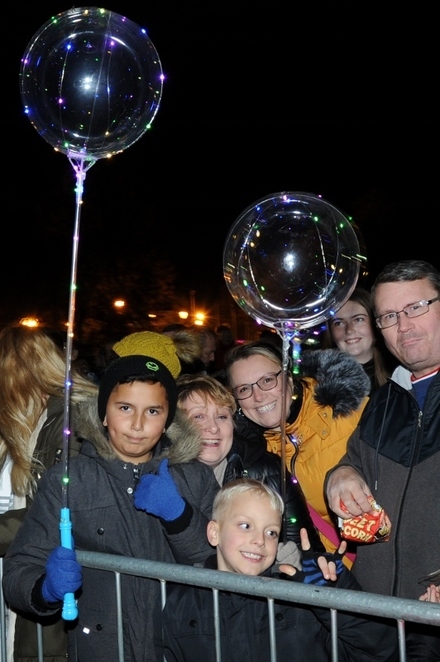 Thousands of people enjoyed a spectacular free light show when Tamworth in Staffordshire staged its 10th annual free fireworks festival in the grounds of the town's medieval castle. 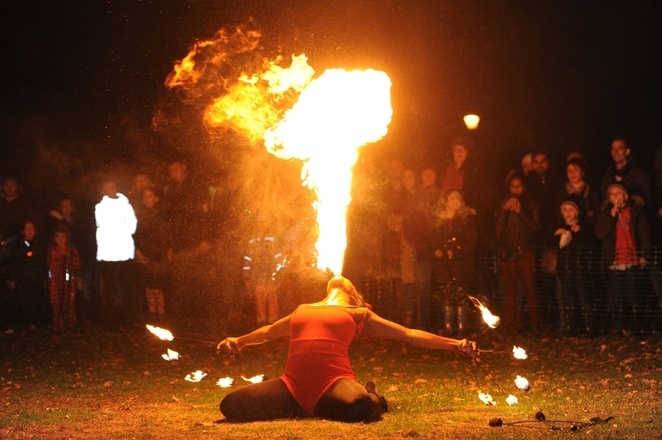 An estimated crowd of more than 26,000 visited Tamworth Castle Grounds on Saturday 3rd November where they were treated to fire performers, fairground rides, walkabout characters, face painting, music played by Touch FM, food stalls and a surprise Greatest Showman theme. This year's dazzling fireworks display was perfectly timed to music from the hit film, The Greatest Showman, with a stunning array of breath-taking pyrotechnics, even including some in the shape of smiley faces to the song lyrics 'each one there to make you smile'. The Mayor of Tamworth, Councillor Peter Thurgood, was on hand to welcome audiences and introduce the display as it was launched into the skies above the Castle Grounds from the Touch FM stage. This year he was assisted by Dosthill Cub Scout, Scott Powers, who won the honour of accompanying the Mayor on stage to start the display after being crowned champion baker in this year's Tamworth in Bloom Scouts and Cubs Bake Off competition. The crowd-pleasing finale resulted in rapturous applause from the huge audience and the event, organised by Tamworth Borough Council's Arts and Events team, was hailed another resounding success. Feedback has been received in the form of hundreds of people filling out an online survey and taking to social media in their droves to praise the event, with many hailing it the best yet, in particular, due to The Greatest Showman theme. The popular event attracts visitors from across the area and further afield, with some even travelling up from London to attend. It also continues to draw new visitors attending for the first time. This year's fireworks display was held at the earlier time of 7pm, rather than 8pm, as voted by members of the public in an overwhelming response to an earlier online poll. Councillor John Chesworth, Tamworth Borough Council's Cabinet member for Operational Services and Culture, said: "Providing a prograhigh-qualityquality outdoor entertainment for families to enjoy free of charge is one of our priorities as a council and it's great to see so many thousands of people taking advantage of the opportunity. It helps that our Arts and Events team put on such a great show and our thanks go to them for another well organised event. "This is a real community event enjoyed by thousands of Tamworth residents, but it also helps to attract new visitors to the town, which is a great boost to the local economy, as hopefully some will return to explore the other businesses and attractions we have to offer. It was also pleasing this year to see some of the local shops and businesses taking advantage of the extra footfall by opening later into the evening and I hope this worked well for them. Our next event is the Tamworth Christmas Lights Switch On which takes place in St Editha's Square from 2pm on Sunday, November 25, with another packed line up of free entertainment for all the family." For more information about the Christmas Lights Switch On and all the entertainment provided by Tamworth Borough Council's Arts and Events team throughout the year, please visit www.tamworthartsandevents.co.uk, where you can also sign up to the newsletter for all the latest news and early bird offers.